↑ Kim, J. (1995). 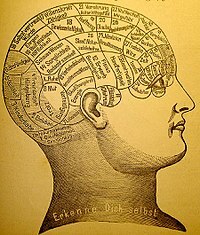 Problems in the Philosophy of Mind. Oxford Companion to Philosophy. Oxford: Oxford University Press. ↑ Macpherson, F. & Haddock, A.، editors, Disjunctivism: Perception, Action, Knowledge, Oxford: Oxford University Press, 2008. ↑ Sri Swami Sivananda. "Sankhya:Hindu philosophy: The Sankhya". http://www.experiencefestival.com/a/Sankhya/id/23117. ↑ Plato (1995). Phaedo. Clarendon Press. ISBN 1-4065-4150-8. ↑ Hart, W.D. (1996) "Dualism"، in Samuel Guttenplan (org) A Companion to the Philosophy of Mind، Blackwell, Oxford, 265-7. ↑ Schneider, Susan (2013). "Non-Reductive Physicalism and the Mind Problem1". Noûs 47 (1): 135–153. doi:10.1111/j.1468-0068.2011.00847.x. ISSN 0029-4624. ↑ DePaul, Michael; Baltimore, Joseph A. (2013). "Type Physicalism and Causal Exclusion". Journal of Philosophical Research 38: 405–418. doi:10.5840/jpr20133821. ISSN 1053-8364. ↑ S. C. Gibb (21 مارچ 2013). Mental Causation and Ontology. OUP Oxford, 58. ISBN 978-0-19-165255-4. ↑ Francescotti, Robert. "Supervenience and Mind". http://www.iep.utm.edu/supermin/. ↑ Gibb, Sophie (2010). "Closure Principles and the Laws of Conservation of Energy and Momentum". Dialectica 64 (3): 363–384. doi:10.1111/j.1746-8361.2010.01237.x. ISSN 0012-2017. See also Dempsey, L. P. (2012). "Consciousness, Supervenience, and Identity: Marras and Kim on the Efficacy of Conscious Experience". Dialogue 51 (3): 373–395. doi:10.1017/s0012217312000662. See also Baltimore, J. A. (2010). "Defending the piggyback principle against Shapiro and Sober's empirical approach". Dialectica 175 (2): 151–168. doi:10.1007/s11229-009-9467-2. ↑ McLaughlin, Brian; Bennett, Karen (2014). "Supervenience". in Edward N. Zalta (ed.). http://plato.stanford.edu/archives/spr2014/entries/supervenience/. ↑ Megill, Jason (2012). "A Defense of Emergence". Axiomathes 23 (4): 597–615. doi:10.1007/s10516-012-9203-2. ISSN 1122-1151. ↑ Kim, J.، "Mind–Body Problem"، Oxford Companion to Philosophy۔ Ted Honderich (ed. )۔ Oxford:Oxford University Press. 1995.